Update 5.14 - The Meridian St. and Main St. intersection will be closed on May 16th -17th. You can still access the library by traveling via Madison to Machledt to Meridian St. There are now barricades on Meridian Street, however there is still access to the Library. The Madison Street entrance and city parking lot west of GPL are already closed. The new lot and new entrance off of the connector road may not be finished until late August, depending on weather. Please use the Meridian Street entrance to the library. Meridian Street at Surina Way is under construction and will close to traffic during construction slated to close for 60 days. Be sure to access the library from the north on Meridian. Smith Valley and Madison will close June 1st to August 31st for the new roundabout. Take US 31 to Main to Meridian if you are approaching the library from the south. 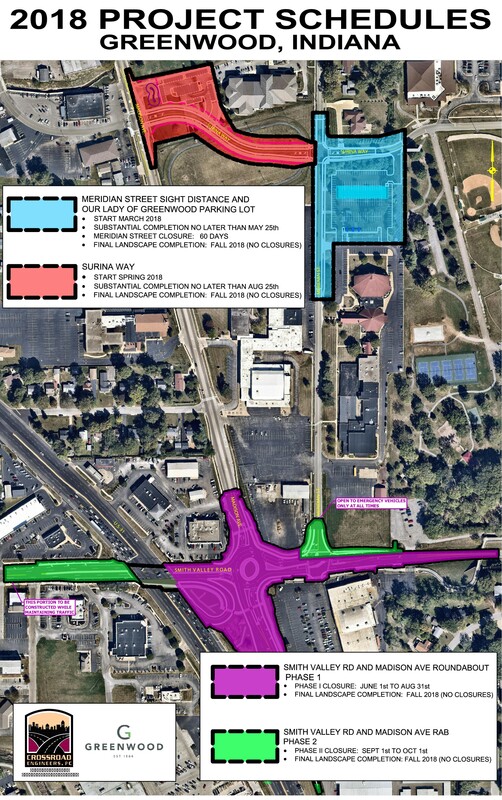 In April there may be limited access for a short time through the stoplight at Main and Meridian. Patrons may take Machledt Drive from the Madison to avoid this construction and access our Meridian entrance.